5470-5950MHz Point-to-Point 1Gbps World. Operating in the 5GHz band, airFiber 5 builds on the innovations in airFiber 24 to enable speeds up to 1Gbps and introduces new eXtended Range Technology (xRT) to provide 100+Km maximum range. Every detail of airFiber was designed and engineered by the Ubiquiti R&D Team. From the silicon chip up to the innovative split-antenna architecture, the Ubiquiti R&D Team created airFiber to deliver superior throughput with efficiency. 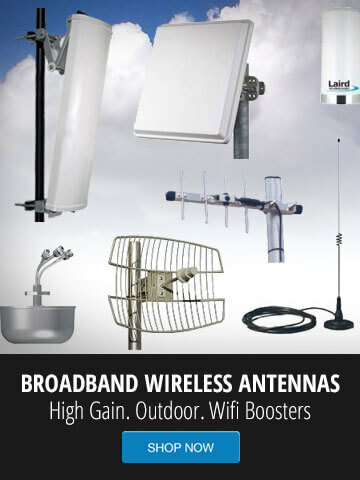 airFiber was built to create a high performance backhaul. Based on Ubiquiti’s innovative and intuitive airOS®, the airFiber Configuration Interface enables quick deployment. With installation efficiency in mind, the mechanical design allows easy installation by one person. A two person installation crew can effectively install and align an airFiber link. airFiber delivers gigabit performance at 1.2+ Gbps for airFiber AF-5/AF-5U, 1.4+ Gbps for airFiber AF-24, and 2 Gbps for airFiber AF-24HD. To put this in perspective, airFiber can transmit a 100 MB file in less than a second. Rivaling common broadband providers, airFiber download speed is up to 100x faster. With speed and throughput surpassing conventional wired backhauls, airFiber prevails over expensive and labor-intensive wired infrastructures. Ubiquiti’s innovative proprietary modem technology was purpose-built to address the specific challenges of outdoor, PtP (Point-to-Point) bridging and high-performance network backhauls. Every aspect of the radio has been carefully simulated and designed to optimize range, speed, and latency performance in the harshest RF noise environments. 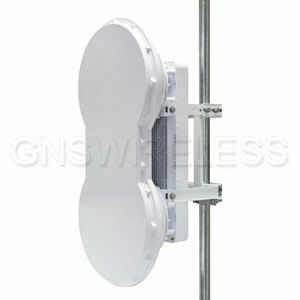 PLEASE NOTE: For a more cost effective, commercial grade wireless bridge, GNS Wireless is stocking the GNS-1155AC. The Ubiquiti AirFiber AF5 can be pre-configured by our in-house engineers prior to shipping, for "out of the box" installation. Once you receive the products, if you or your tech have any questions, our technical support team is available to further assist you with the installation of the AirFiber AF5 Wireless Backhaul. To get started with our pre-configuration services of your new AirFiber AF5, please contact us. Conventional wireless standards impose a latency by having to receive a packet before a packet is transmitted. airFiber can transmit data synchronously without any wait time. airFiber features traditional TDD and FDD modes of operation in addition to the proprietary Hybrid Division Duplexing (HDD) mode, which provides a breakthrough in range and spectral efficiency performance. Based on the ranging algorithm built into the air protocol, the airFiber radios use patent-pending HDD technology to calculate the propagation delay and know when each radio can transmit and receive, so they send packets in precise synchronization. Packet transmission latency is virtually eliminated. Ubiquiti Networks introduces our proprietary INVICTUS core communications processing engine. The speed, power, and efficiency of this integrated circuit enhances the performance of the airFiber AF-5/AF-5U. airFiber AF-5/AF-5U features 1 MHz center channel resolution with market leading Power Envelope Tracking technology. The airFiber AF-5/AF-5U accurately and continuously controls transmit power relative to the band edge. The power level automatically tracks to optimize performance near band edges, allowing you to choose the part of the band with the least interference. Newly developed for the airFiber AF-5/AF-5U, the patent-pending xRT feature uses an innovative, adaptive multi-channel coding scheme to enhance radio transceiver performance, thereby maximizing your link budget and spectrum utilization – while still maintaining regulatory compliance. This results in links that can span distances from 10 m up to 100+ km. The unique sliding-clamp design of the airFiber AF-5/AF-5U allows mounting hardware to be pre-assembled prior to installation – no more dropped screws at the top of the tower. As an added convenience, the drop in cradle mount design allows the installer to attach mounting hardware to the pole without having to support the weight of the airFiber radio during installation.